Can somebody who has done this before please advise me? I've a VDO tacho, but no installation instructions. I believe that a signal can be taken from the alternator output. I've a standard 300 Tdi and alternator, but where do I take a signal from, please? At the tacho, there are three connections, apart from the light connections. These are marked: 2, + and -. (The location 1 does not have a connector fitted to it.) I'm assuming that live and earth are connected to the + and -, but what goes to 2? 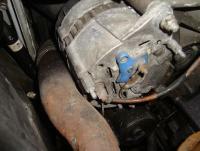 Is it a direct feed from the alternator, or should there be something between the alternator and tachometer, e.g. a resistance? Also, staying with the tacho, there are three small switches recessed in the body. What are they for, and what positions should they be set to, please? Many thanks, in advance, for any help with these. set the 3 slide swithes [outers] up & centre down. this should give to a idle reading of 750 to 800rpm & max revs [vehicle stationary out of gear] of 3850 to 4000rpm. 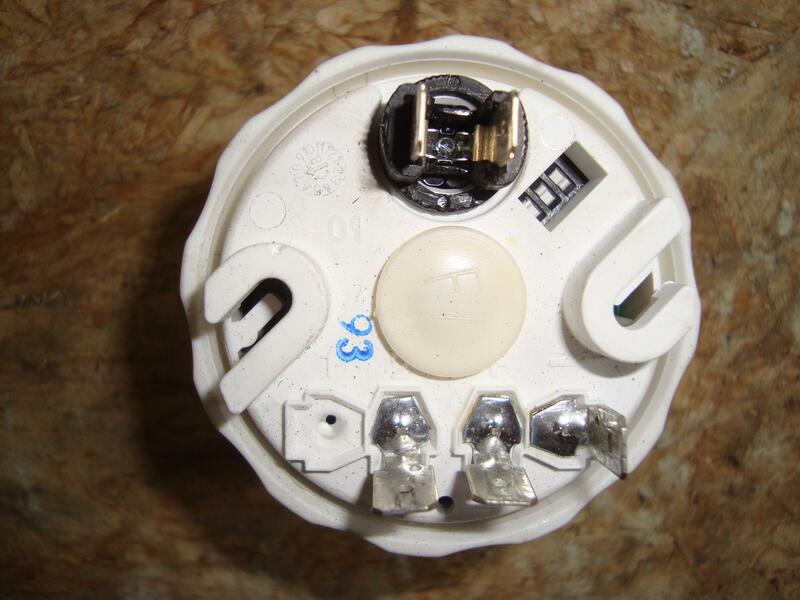 if you do a search for 'rev counter' there's lots of top info about fitting/connecting & photo's. Many thanks for your reply, Western. However, referring to the photo of the back of my alternator, in my original post, which is the W terminal, please? your alt. may already have a 'W' terminal under a rubber cover, if not you can fit a feed wire from one of the static windings bolts IIRC. Is my alternator one of those without a W terminal, and if so, which bolt do you suggest that I take a signal from, please? if your Alt doesn't have a external, W connection, Yes you can fit a cable & terminal to any of the AC static windings to make it all work. Western, as usual, you've been there, dunnit, and are happy to help the rest of us find our way about. I followed the links, and the links in links, and have now got my tacho working. Many, many thanks.